Life can be challenging when you are little. All the good stuff is stored just out of your reach. Would you like to go play in the basement? Sure, but who will turn the light on? You’d like to help yourself to some gum, but it’s tucked away up in cupboard. 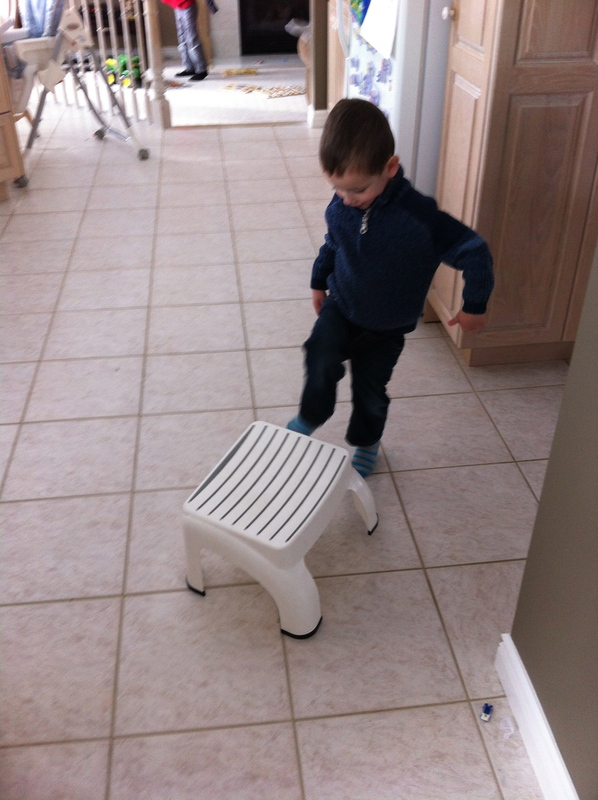 Thanks to the step stool, you can reach the sink to wash your hands, but what fun is that? If only that step stool was portable. Yes, if you could move it around to the location of your desire, life would be so good – all those things you’ve longed for would be attainable. It would be shining, shimmering, even, dare I say, splendid? No one could tell you “no” or where to go. Or say you’re only dreaming. It would be a whole new world of possibilities. The new sights – did you know they have a candy jar up there? Indescribable feelings when you discover the pens and pencils that have been waiting for you. Probably one hundred thousand different things to see from your new vantage point. 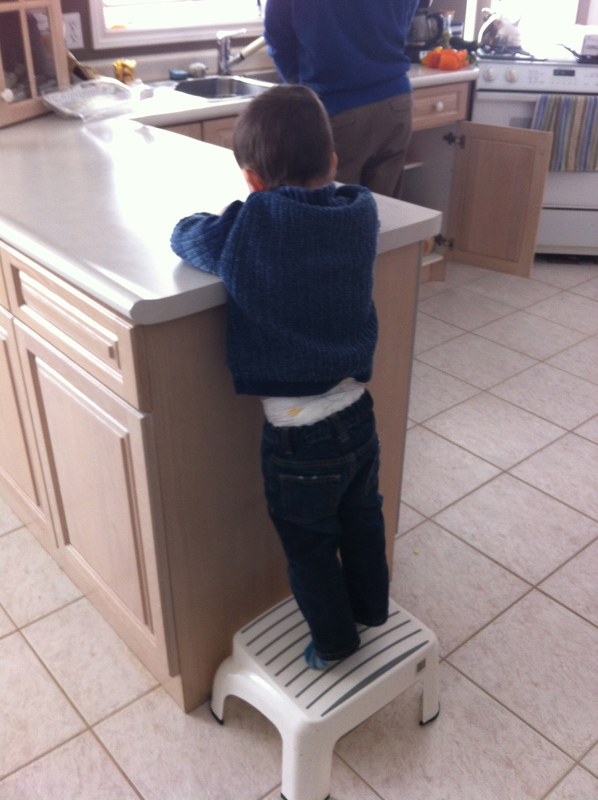 I’m not sure who invented the portable step stool, but he or she is the hero of every child shorter than the counter top. Stand amazed at my might. 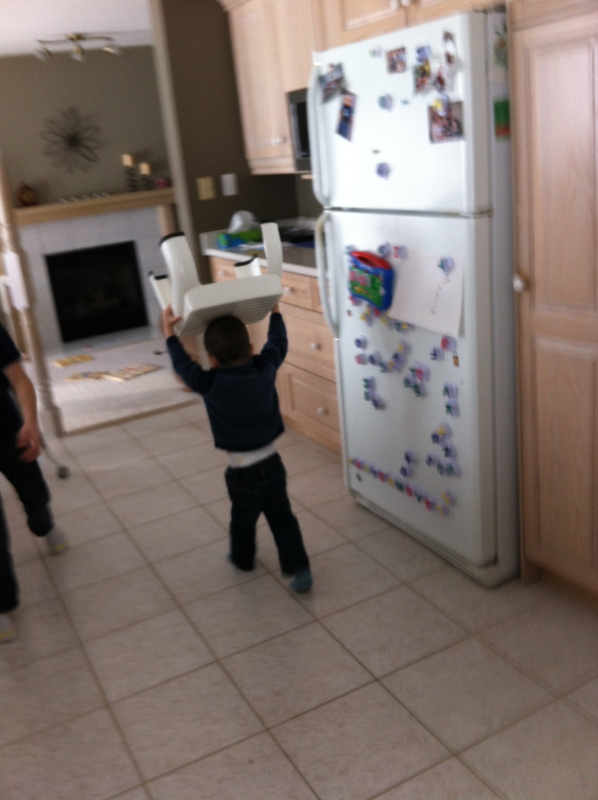 This step stool and I cannot be defeated. See how I deftly move it with just my foot. THE POWER! Nothing is out of my reach now. Bwahahaha. 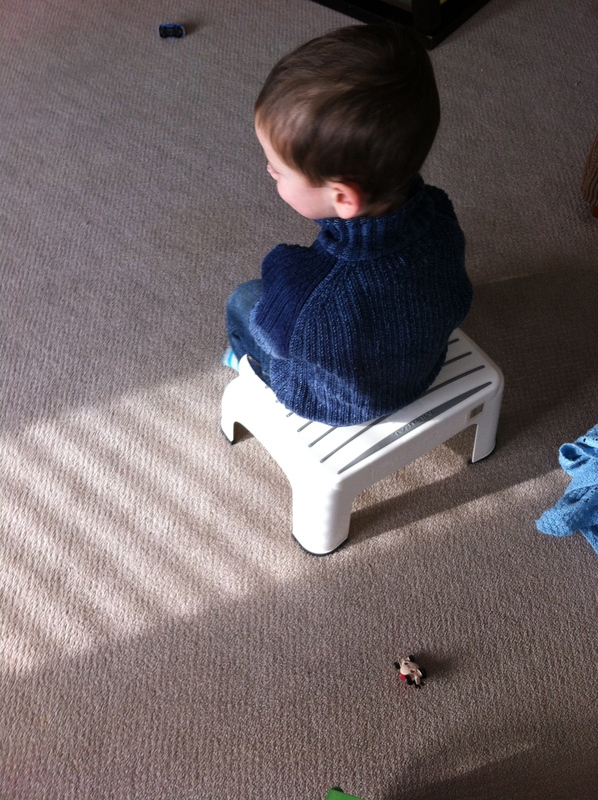 She now has a portable “thinking spot”. I did not think this through.